Cahir Youth Club runs 4 nights a week and caters from 8 - 21 year olds. They run a wide range of activities such as art work , baking and talks on such topics as animal welfare. On Fridays the club provides a drop in service where from 13 year olds upwards can pop in for a game of pool , a cup of tea or even just for a chat. The youth Club often links up with other clubs and organise joint activities. 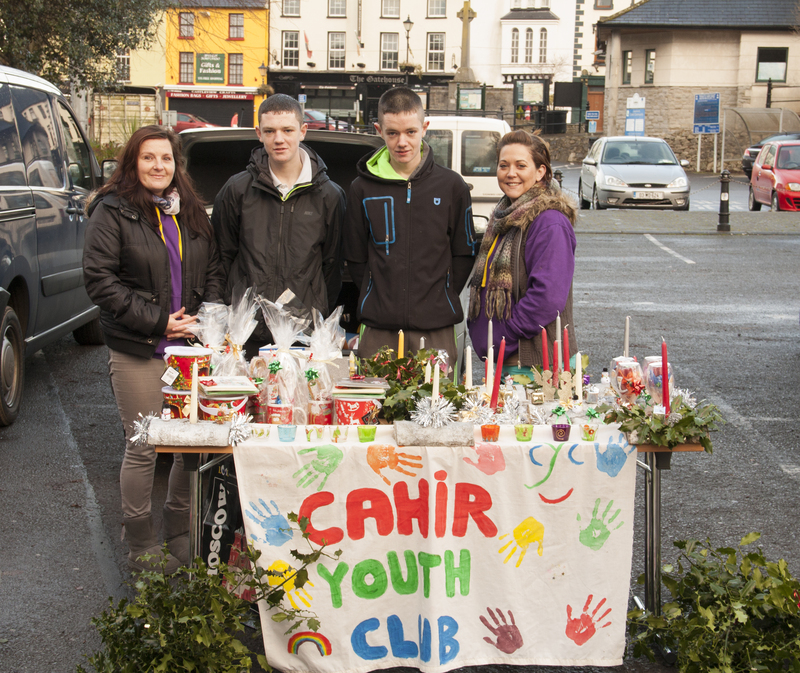 Today Michelle and Sharon from the club brought a group of youths to Cahir Farmers Market to sell a range of Christmas crafts which were made by the youths to help them raise much needed funds for the club. The club would like to thank Pat O?Brien for kindly giving them a space at the market. The club would also like to thank Joe Walsh from BioTipp who kindly made a donation of supplies which enabled the youths to make their products and go ahead with their plans. Michelle also asked me to remind people the Cahir Youth Club will hold a coffee morning on the 14th of December in their youth centre from 11am to 1pm which is located on church street, behind the old Tech.